Helen's Home World: April Showers? 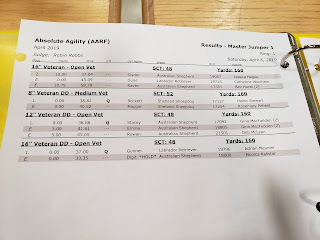 This Saturday we went to an agility trial at Absolute Agility, it was hard to get up so early but off we went in the dark to play our favourite game. It turned out to be a very nice day; the only nice day we got this weekend. Today, we have freezing rain and tomorrow they are calling for snow, at this rate it will be May before all the snow and ice is gone. Unless it really warms up, it's not looking good for me to have my Christmas decorations down before Easter. 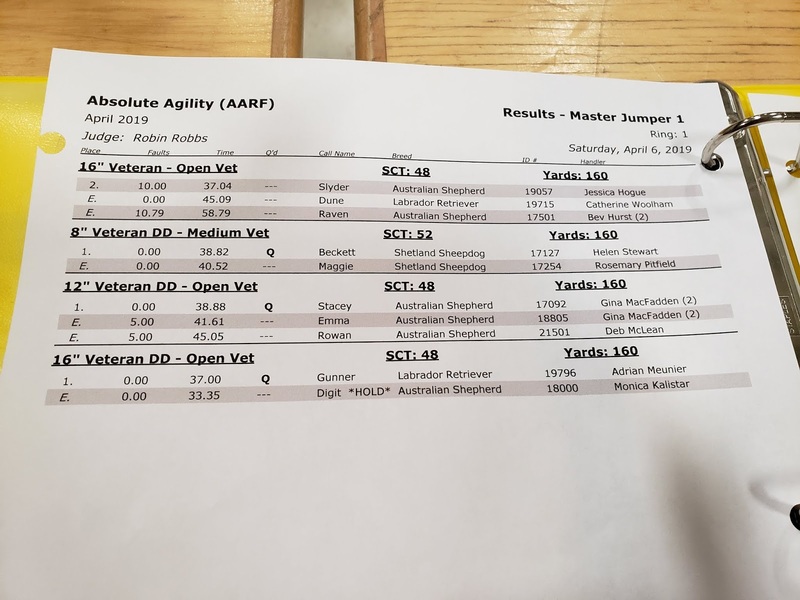 But back to agility, in January I thought Beckett got his Silver Expert Jumpers and his Silver Versatility titles but I had miscounted his qualifying scores; we were short one Jumpers qualifying score. 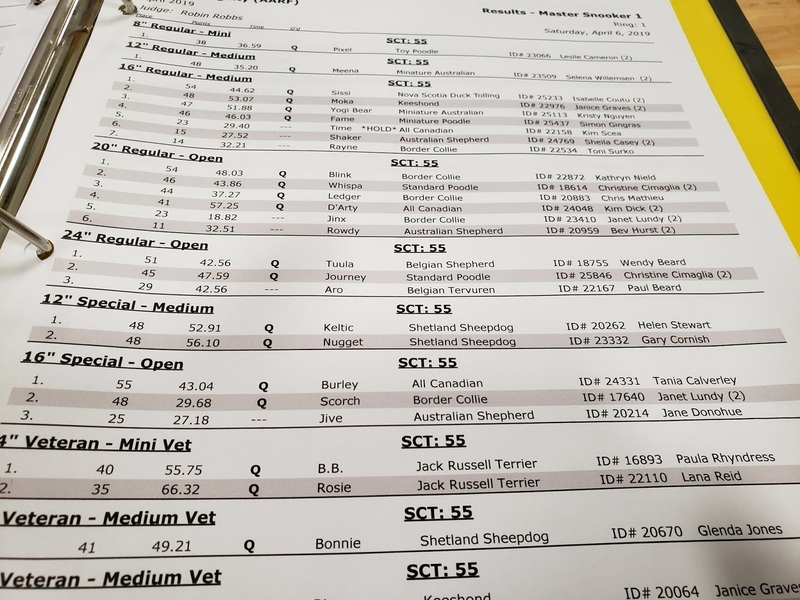 In Feb, we only did one trial and Beckett got a refusal in the Jumpers event at that trial, I worried that we would take forever to get that last Q. At this trial the Jumpers was the first event, I didn't really think we would get it, not that the course was really all that difficult but because first thing in the morning, either I'm off or Beckett is. We were the last dog of the event. We had a clear round and well within time. It wasn't our best run, I never felt connected with Beckett but we got it done. 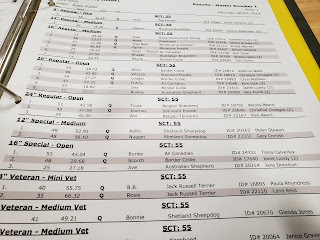 And that was really Masters Jumpers qualifying score number 25 for Silver Expert Jumpers; that is Beckett's fourth Silver Expert title giving him also his Silver Versatility title. 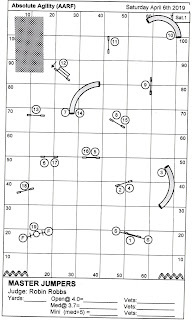 We did the Silver Versatility title the hard with way with Steeplechase as one of our Silver titles. For Silver in Steeplechase, you need 50 qualifying scores. Keltic also did me proud, getting his third Masters Snooker qualifying score, one more and he gets his Masters Snooker title. He made me work for the Q though. 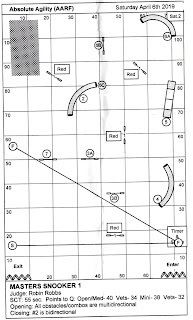 I had planned to do red jump, the tunnel number four, then red jump and jump number 7 followed by the red jump to the left of the tunnel with the jump 7 again. 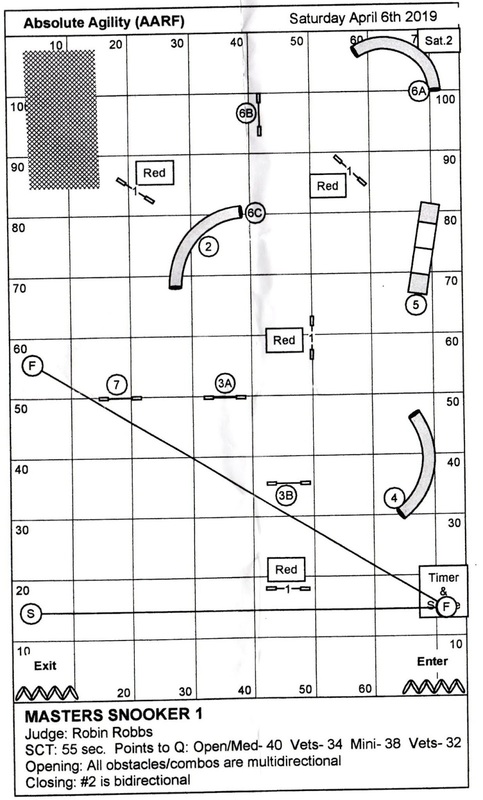 We got the first two pairs done but Keltic knocked the bar on the third red, I could have started close then but I knew we wouldn't have enough points to Q; so I thought we might as well go for the 4th red and do number 6 which was a combination obstacle, a tunnel, a jump and another tunnel. 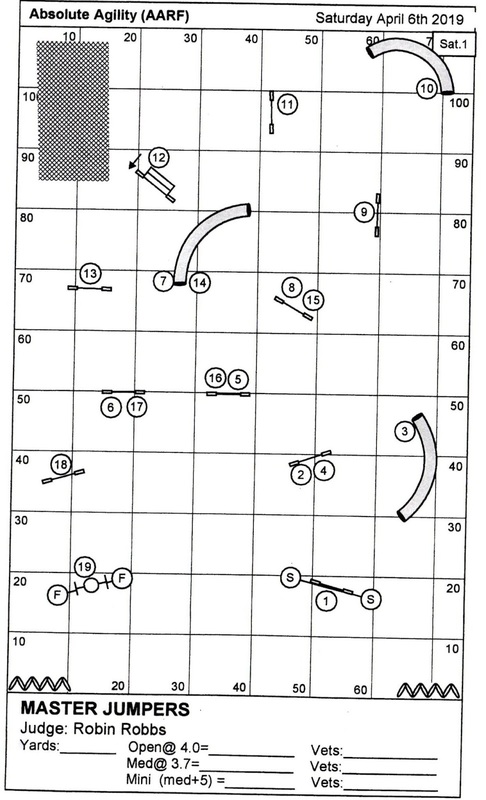 We got over to the red, got number six done then started the close, where you run the numbered obstacles (2 through 7) as numbered. I was sure the buzzer would sound before we had enough points but we actually finished the close in a time of just under 53 seconds; you have 55 seconds to collect your points. So each boy came home with Q ribbon. 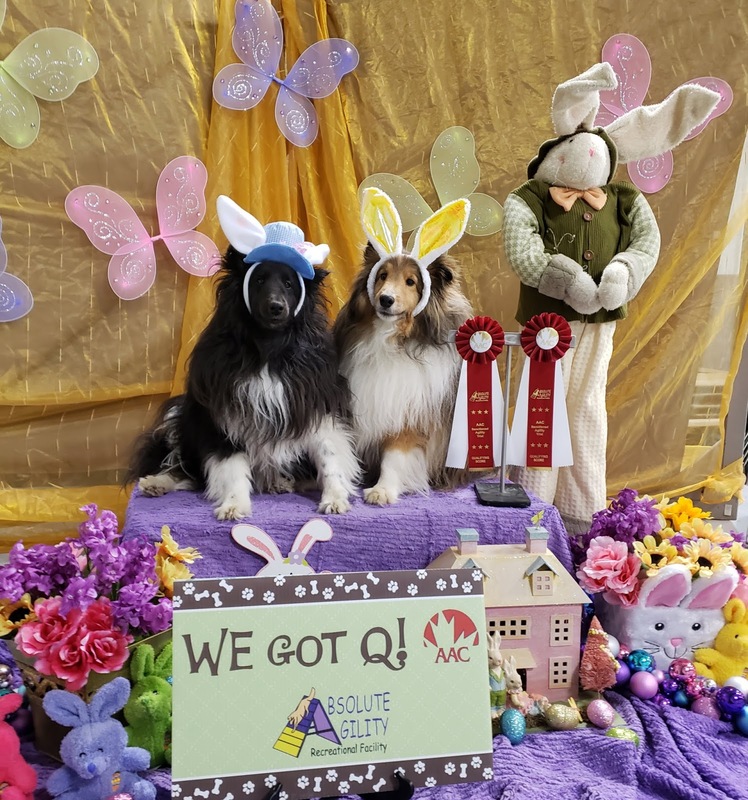 I'm not sure they were happy about having their photo taken with bunny ears. I did take some without the ears too, but it's not as cute! Don't you agree? 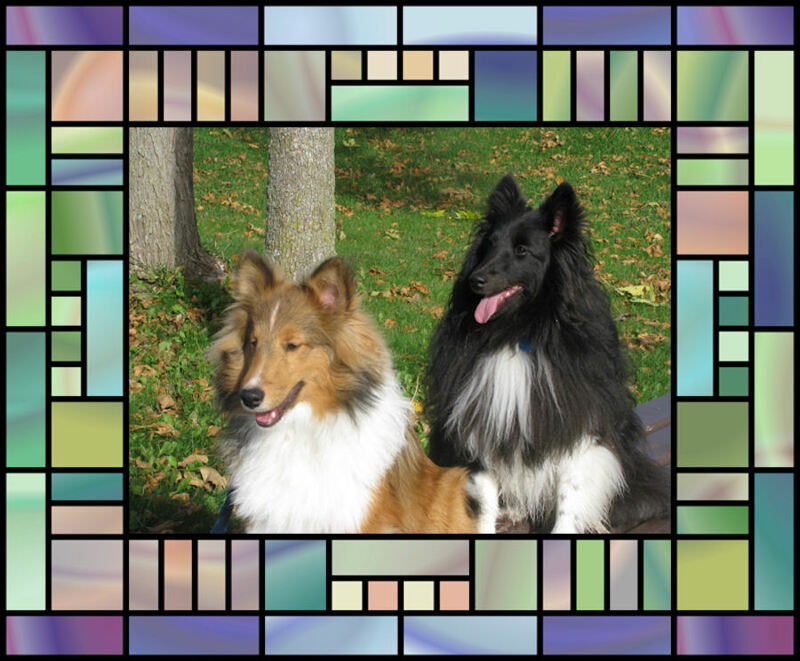 Now hoping that we get some warmer weather, we have our next agility trial at the end of the month. It's in a horse arena that is not heated so it would be nice to have warmer weather. Congratulations to you both and you look great with the ears and without the ears! Congratulations to you all!!! 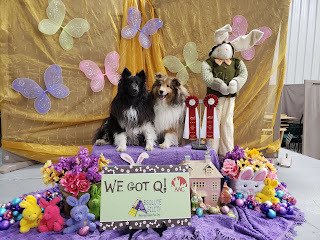 Katie and I took an agility course once. She liked to jump, and she liked tunnels in the beginning. But we had to stand around so long to get our little time on the floor that we eventually gave up. By the end of the class she liked dog walk and Aframe, but had decided tunnels were scary, totally refused to do tire, and on our last day ran right out of the ring to avoid doing teeter.